Admit it: Your calendar looks more like a Minecraft Map than any sort of workable document. Maybe you easily accept new assignments. Maybe you are backing-up a team member on vacation. Whatever the reason, you need to cut the clutter by rescheduling tasks, delegating them or cutting them out completely. To make these important decisions, you must know your priorities. Priorities are a gauge to help you decide what you should be doing and for how long. Start by looking at your job description, talking to your leaders and/or your direct reports, and, most importantly, listen to yourself. Make of list of priorities that are actually important. Sure, you need to write a hilarious skit for the company picnic, but will you lose business if you spend less than an hour working on the script? If you’re having trouble deciding on your priorities, you can reverse-engineer them. Write down everything you do during one week and approximate how long each task takes. See how much time you spend on tasks and decide “Was it worth the time?” If yes, make it a priority. If no, reschedule it, delegate it or cut it. * Tip: You should also make a list of your personal priorities. We will talk about these priorities later. All positions require a certain amount of repetitive work. For example, you might coach direct reports or attend weekly-update meetings. Despite these activities occurring days or weeks apart, they often require the same data. If your calendar shows two requirement meetings at the start and end of the week, schedule one period to research for both presentations. You might need to tweak each presentation for the target audience, but your research time is cut in half. Many applications allow you to schedule future reports in advance or to setup reoccurring reports to run at scheduled times. 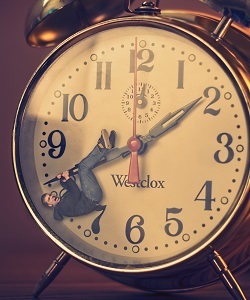 If you find yourself adding events to your calendar in a zombified state, wake up! The better you preplan your activities, the more likely you can follow them and complete your assignments on-time. Like millions of your fellow humans, you probably carry around a computer more powerful than anything ever found on the space shuttle — your smartphone. 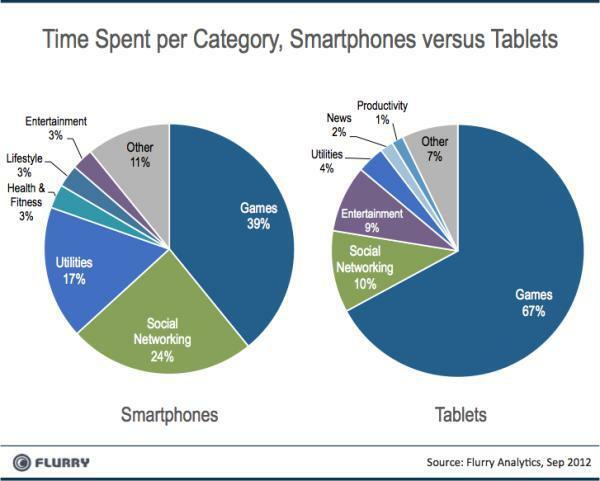 If you don’t have a smartphone, you probably have a tablet. With either device, how do we spend most of our time? The answer is … games and social media. Where is the pie slice for productivity? Hint: For smartphones, productivity doesn’t even get its own slice. Yet, app stores list hundreds of productivity apps waiting for you. Yes, you carry around your own personal assistant without knowing it. Apps like Pushbullet, ETA and Evernote allow you to share documents between devices, plan travel times, and store notes and webpages. Pocket is the 2014 Webby Award winner for Best Productivity App. This app helps you save online articles, news stories, blog posts and any web links for future viewing even if you are offline. Made for more than Candy Crush or Goat Simulator (yep, it’s a real game), your smart device is a tool. When you find inspiration on your daily commute or forget an important presentation on your desktop, leverage your smartphone as a quick solution. What happens to your day when the unexpected appears? A computer/application crashes, the new client specifications arrive, or your boss’ boss wants to take you out to lunch. The unexpected sees your calendar and plays with it like a toddler. Physically mark “Work Time” or “Free Time” on your calendar. No, this is not time to play Goat Simulator. It’s time to rearrange your day when your mid-morning “information-only” meeting dumps three new takeaway assignments on your plate. It’s also time you can work on those new assignments. By allowing for free time, you increase the chances you will complete your to-do list. Sure, there will be times you have to rearrange events. However, the more you feel your schedule works with you the more you will continue to use it. Human beings are walking batteries. At least, that is what The Matrix taught us. Keanu aside, it’s a perfect allegory. You are a battery, and you need to consistently recharge. How often do you stay late at work? Work from home at night? Work weekends? Do you work these times so frequently you consider them a part of your normal workweek? What seems an attractive solution for catching up on work is actually making you less productive. Nights, weekends and vacations are all times for you to be away from work and rest — mentally and physically. Engage with your hobbies, or engage with your family. Remember those personal priorities you wrote down in Step One? Pull them out. You followed all five steps. Your time machine is built. Congratulations! Your have a flexible schedule you can complete with time for your personal life. You have a personal assistant you can carry wherever you go. Plus, you have list of your priorities to help you make future decisions. Your time machine won’t journey to the past or future; however, it will increase your productivity. This is a safer option anyway — you can avoid trying to generate 1.21 gigawatts of power in the year 1885. Brett Guttormson is a freelance writer juggling the realities of professional and family life. He currently writes his own blog about work and family balance.